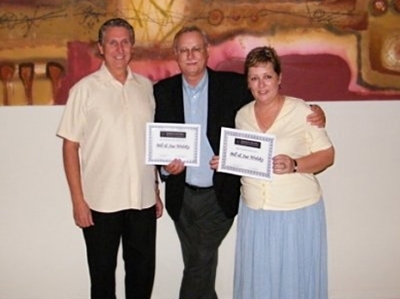 Consultants Bill and Sue Wolsky received special recognition at the recent Schooley Mitchell Annual Consultants’ Conference in Puerto Vallarta, Mexico. The Wolskys were recognized for their contributions to the Schooley Mitchell discussion board, an internal forum where consultants from across North America share knowledge and expertise to ensure their clients are benefitting from the newest technologies and best-in-class pricing. They also received an award for having the most client testimonials overall in the Schooley Mitchell network in 2013. Congratulations Bill and Sue! Bill is pictured above with Schooley Mitchell President Beth McMillan and Dennis Schooley. Congratulations to Bill Wolsky for being selected to sit on Schooley Mitchell’s Consultant-elected Advisory Council for 2013. 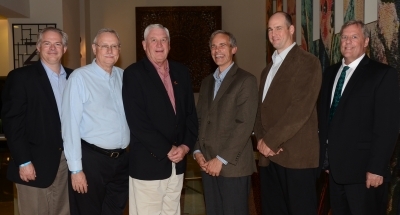 The new council was announced at the recent Schooley Mitchell Annual Consultants’ Conference in Puerto Vallarta, Mexico. Pictured above, from left, are Steve Oscarson, Bill Wolsky, John Campbell, Matt Schlegel, Dave Huggins and Greg Wisz. 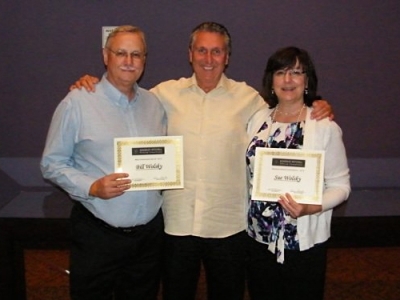 Congratulations to Bill and Sue Wolsky as they accept the awards from Dennis Schooley for their discussion board contributions and for receiving the most client testimonial letters overall within the Schooley Mitchell Consultants network for 2012. The award was presented at the Annual Awards Banquet and Dinner Gala at the Schooley Mitchell Conference held in the Dominican Republic. Congratulations to Bill Wolsky as he accepts the awards from Dennis Schooley and Beth McMillan on behalf of himself and Sue Wolsky for the most client testimonial letters added in 2011 and most client testimonials letters overall within the Schooley Mitchell Consultants network for 2011. The awards were presented at the Annual Awards Banquet and Dinner Gala at the Schooley Mitchell Conference held in Cancun.